Statisticians are already aware that any task (exploration, prediction) involving a modeling process is largely dependent on the measurement units for the data, to the extent that it should be impossible to provide a statistical outcome without specifying the couple (unit,model). 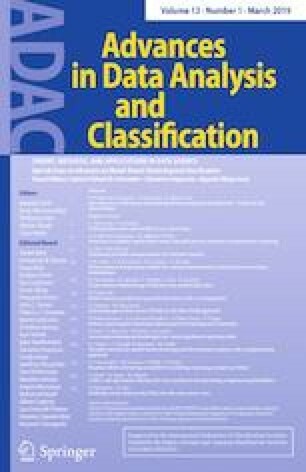 In this work, this general principle is formalized with a particular focus on model-based clustering and co-clustering in the case of possibly mixed data types (continuous and/or categorical and/or counting features), and this opportunity is used to revisit what the related data units are. Such a formalization allows us to raise three important spots: (i) the couple (unit,model) is not identifiable so that different interpretations unit/model of the same whole modeling process are always possible; (ii) combining different “classical” units with different “classical” models should be an interesting opportunity for a cheap, wide and meaningful expansion of the whole modeling process family designed by the couple (unit,model); (iii) if necessary, this couple, up to the non-identifiability property, could be selected by any traditional model selection criterion. Some experiments on real data sets illustrate in detail practical benefits arising from the previous three spots.